Snow � that icon of winter � blankets the land with a beautiful silence. Love it, hate it, we all depend on snow. Our year-round water supply largely comes from snowmelt. Waiting for spring flowers? They're fertilized by nutrients in snow. Species from microscopic fungi to 800-pound moose need snow. They survive the winter by living, each in its own way, in nature's igloo. 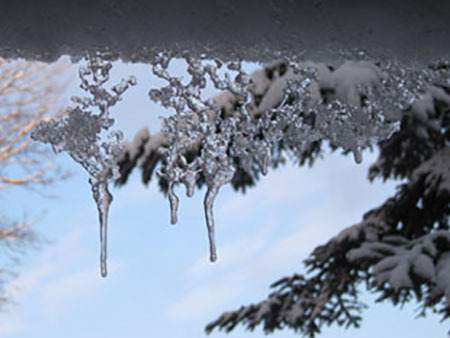 How much snow does cloud-seeding produce? Soon scientists will be closer to knowing the answer. NSF-supported researchers have begun a cloud-seeding experiment in southwestern Idaho. 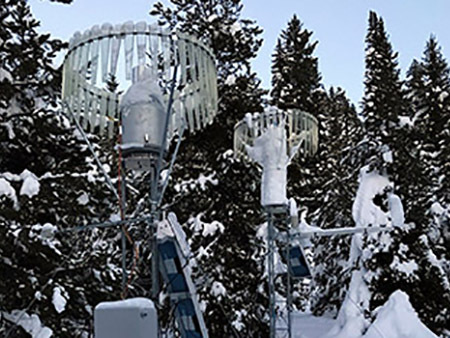 Dubbed SNOWIE (Seeded and Natural Orographic Wintertime Clouds -- the Idaho Experiment), the project is taking place in and near the Payette Basin, 50 miles north of Boise, Idaho. SCHUSS. The term for a straight, downhill ski run. In the land of the "Greatest Snow on Earth" -- Utah -- SCHUSS is also the moniker for storm-chasing, Old Man Winter-style. If trees could talk, what winter tales they might tell: of the frozen soil in which they're rooted, the snows that fall on their branches, the icy rivers and streams that flow beneath, and the health of the entire forest. The subnivium, it's called, this refuge beneath the snow that's insulated and maintains a constant temperature. 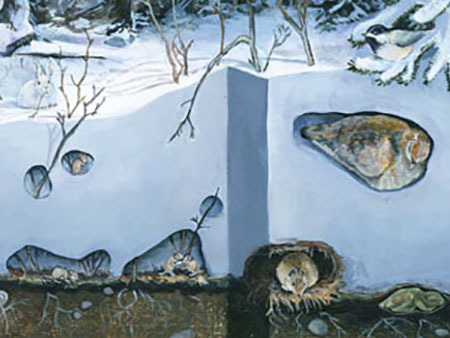 It's nature's igloo for all winter creatures great and small. 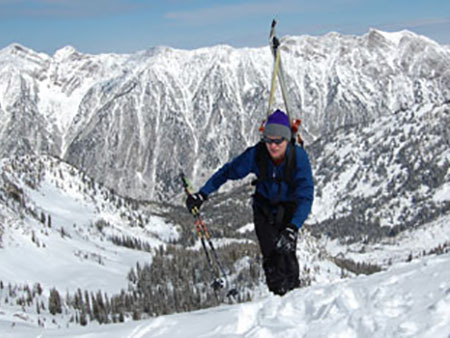 If you're planning to skate on a frozen lake or river this winter, ski on a snowy slope, or, when spring arrives, depend on snowmelt to refill your water supply, you may need to think twice. December-to-March may be less like the winters we remember. It's a new story of the race between the tortoise and the hare. 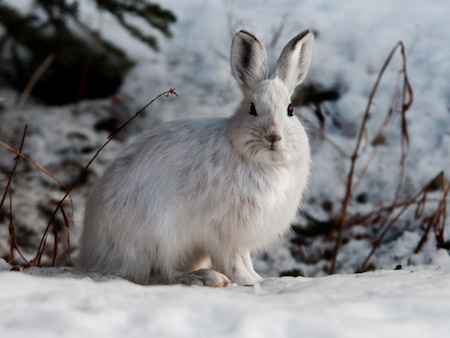 Now it's a dead heat between a white spruce tree and a snowshoe hare. Which will win? Scientists at the National Science Foundation Bonanza Creek Long-Term Ecological Research site in Alaska are chasing down answers. Stop-action: view the inner world of a snowflake as it's falling, via the lens of a new high-speed camera. Niwot Ridge, Colorado. It's 11,600 feet above sea level, and is home to a National Science Foundation Long-Term Ecological Research site. 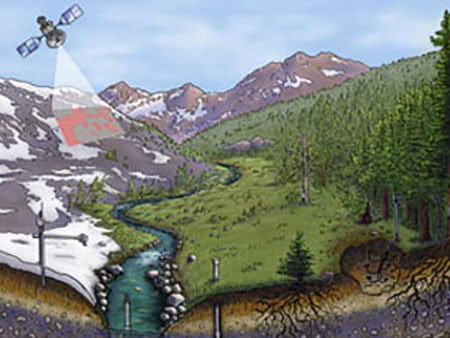 There scientists study snow -- and what happens to our water resources when it begins to melt.